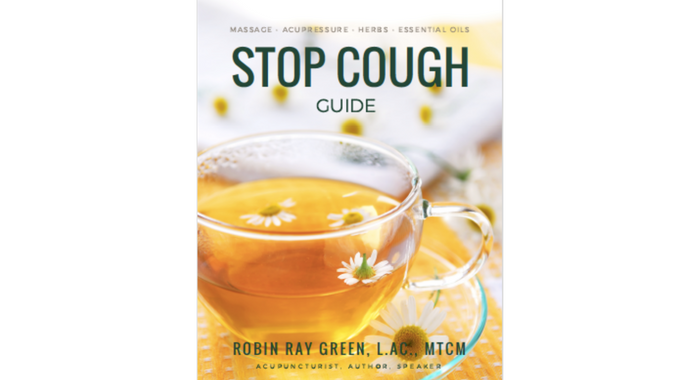 Stop Cough Guide & Massage Video - Robin Green Acupuncture, Inc.
Join over 45,000 parents using Chinese Pediatric massage to help their child’s cough and boost immunity. 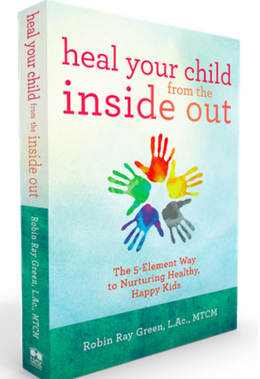 In just minutes you can start massaging your child back to health! The Stop Cough Guide & Massage Video provides you step-by-step guidance in treating your child's cough with a blend of traditional Chinese medicine, massage, essential oils, and home remedies. It's is unlike anything you'll get at the doctor's office, and it's way more effective than over-the-counter medicine! The Guide & Video will arrive in your inbox as soon as you sign up. Be sure you enter your e-mail address correctly. The Photo Illustrated E-book to refer to while you're doing the massage. A remedy guide for treating wet, dry, croup, nighttime, and stubborn cough. Recipes for honey-lemon-ginger tea, coral tea, and poached pears. Red Flags for cough and when to seek medical attention. All of these will be delivered via E-mail. BE SURE YOUR E-MAIL IS ENTERED CORRECTLY! YES! Add the Deluxe Kids Ear Seeds Kit & Bonus! The information in this product is not intended to provide health care, medical or nutrition therapy services; or diagnose, treat or cure any disease, condition or other physical or mental ailment of the human body. If you should experience any such issues you should see your registered physician or other practitioner as determined by your own judgment. When purchasing this Stop Cough Kit you agree to defend, indemnify, and hold harmless Company, Company’s officers, employers, employees, contractors, directors, related entities, trustees, affiliates, and successors from and against any and all liabilities and expense whatsoever - including without limitation, claims, damages, judgments, awards, settlements, investigations, costs, attorneys fees, and disbursements ), excluding, however, any such expenses and liabilities which may result from a sole negligence or willful misconduct by Company, or any of its shareholders, trustees, affiliates or successors. The statements and information provided is this Stop Cough Kit have not been evaluated by the Food and Drug Administration (“FDA") While Company makes every effort to present the most accurate information to date, medical data changes frequently and Company shall not be liable for the accuracy, errors or omissions of the statements or information contained therein. Don't miss these exclusive offers! Add a signed copy of my book! 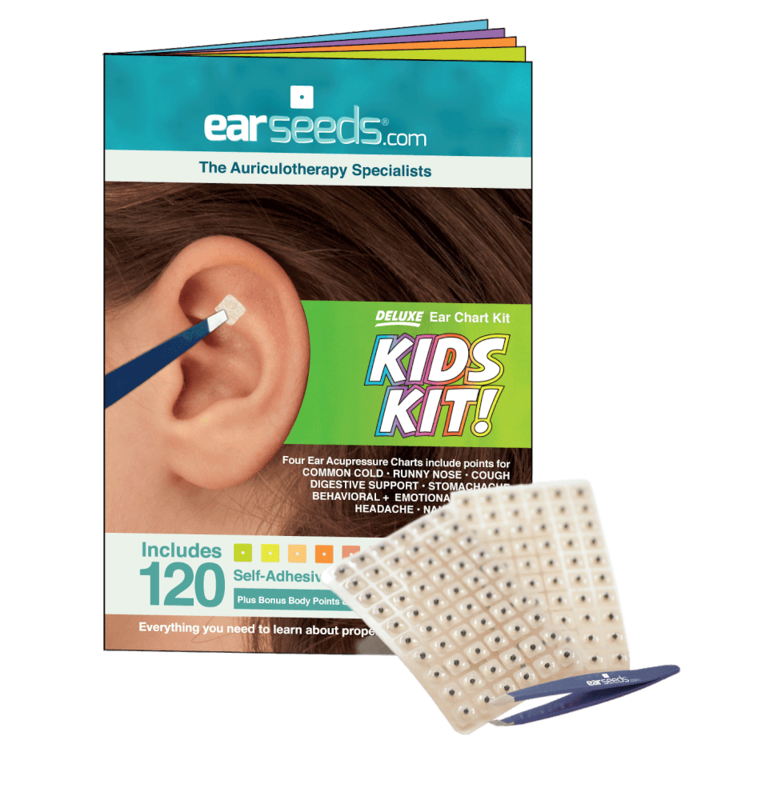 Add a Deluxe Kids Ear Seeds Kit! A $53 Value! Yours Today for only $24.95! Help Your Child's Cough Naturally... Get the Deluxe Kid's Ear Seed Kit Plus Robin's Stop Cough Ebook & Massage Video. Learn how to use a powerful tool called ear acupressure, or auriculotherapy, to help with your child's cough AND many other common childhood ailments.